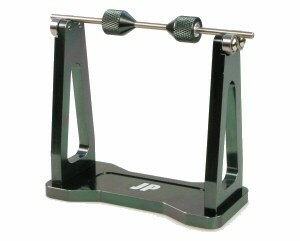 A prop balancer is an essential piece of equipment for electric flyers. 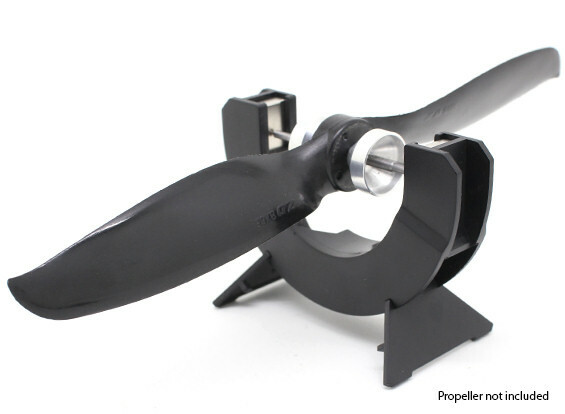 An out of balance prop apart from causing vibration, noise and possible damage to the airframe and motor, also saps power, increases power consumption and shortens flight times. Notes on balancing wooden props. 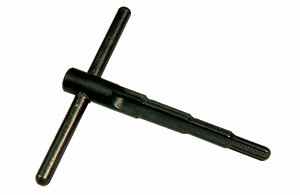 Prop reamers are only suitable for plastic/nylon props, they are not suitable for wooden props. Wooden props need to be drilled. It's best to use a bench/pillar drill to ensure the hole is at right angles to the prop. A hand drill can be used with care. Enlarge the hole in small increments (0.5mm is best). Drill half way through, then turn the prop over and drill through from this side. Repeat this until you have the required size. Make sure the prop is restrained when drilling so that the prop can not rotate and injure you. To balance wooden props spray clear car lacquer on the lighter side so that it is slightly heavier. When the propellants in the lacquer evaporates off it should balance horizontally. Check the balance again when the lacquer is dry and repeat the above if necessary. Notes on balancing plastic/nylon props. Ream or drill the prop to the correct diameter if necessary. 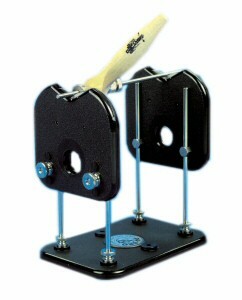 Make sure the prop is restrained when drilling so that the prop can not rotate and injure you. Lightly sand the leading and trailing edge of the prop to remove any sharp flashings. Place the prop on the balancer. In most cases one side will drop, this is the heavy side. 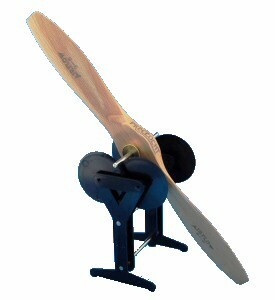 Rotate the prop by 180 degrees and see if the heavy side drops quicker or slower. If it drops quicker then rotate the prop by 180 degrees again, if it drops slower then keep it as it is. To balance the prop, sand the trailing edge (not the leading edge) of the heavier side of the prop until the prop balances horizontally. Alternatively you can spray clear car lacquer on the lighter side so that it is slightly heavier. When the propellants in the lacquer evaporates off it should balance horizontally. Check the balance again when the lacquer is dry and repeat the above if necessary.